One of the best ways to show your support for those who have experienced the loss of a loved one is by writing a condolence message. It can be incredibly hard to find the right things to say when someone is going through the difficult grieving process. The following advises on how to write words of comfort for those who are facing one of the most traumatic times in their lives. Having to sit down and write a letter to someone experiencing loss can prove most uncomfortable. It is important to understand that such messages can deliver the greatest means of support for individuals who have encountered difficulty. The condolence serves as the greatest means of support for all families and friends. It can be tough to figure out what to say in a message because of the sensitive nature of the circumstance. A number of individuals experience the grieving process in different ways and should not be comforted with generic terms and phrasing. If you simply ignore the situation it is a sign of disrespect and does not address the trauma. 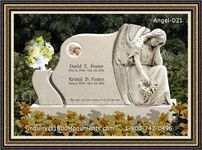 There are many sympathy cards that can be purchased on the market, but none deliver the personal messages need to comfort friends or family. 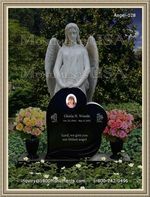 When writing a condolence letter focus on the nature of the relationship shared with the deceased. Talk about fond memories and the personality of the individual that you admired the most. One should consider real messages of support. Do not write an essay to the family or affected persons, but rather a brief note that makes it easier to read and concentrate on. It is important not to rely heavily on phrasing and similar terms that do not provide meaning or a sense of caring. There are a few expressions that should not be mentioned and phrases that can serve as a caring gesture. It is best to focus on the personal nature and relationship shared with a deceased member. Genuine thoughts and supportive language can assist in offering your support.